Alexander James– English Country Clothing- located in one of my favorite cities to visit around Christmas – Manchester, UK. 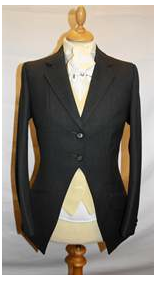 They have impeccable tailoring according to Equestrianista Brandy Greenwell. Alan Little developed a highly successful formula, a range to suit everyone – and of all ages. ALEXANDER JAMES offers ready to wear items, a customized option, and a full bespoke service. 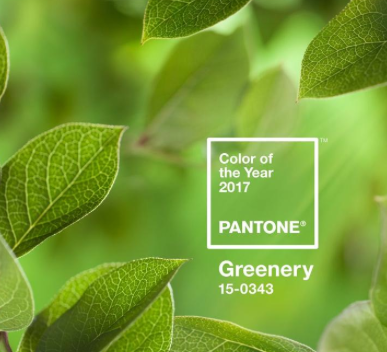 This gives choice both in product and price. The only common thread is the finest material from some of the oldest mills and weavers in Britain. Alan is a Past President of the Federation of Clothing Designers and Executives, as is his son, Mark; Both he and Carl can draw on his long experience for they work in this family business. Thus customers old and new, at home and abroad, reap the rewards of the ALEXANDER JAMES tradition in the robot age – good service and individual attention to detail by hand – so they look their best, in clothes just for them. Alexander James tailor side saddle habits to fit the individual, where style and elegance are of utmost importance. The ‘Victoria’ is our latest style. 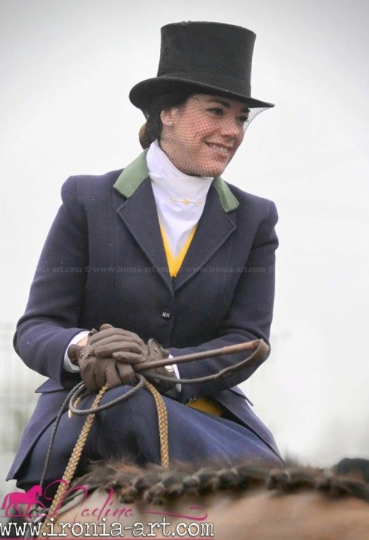 The jacket has a very elegant, fitted look and is at home both in the show ring and the hunting field. Comprising of two button single breasted cutaway jacket with square fronts, curved sleeves and double vents at the rear. Two drop slanted flap pockets and habit buttons. All of Alexander Jame’s habits (they have 5 habits currently available EE, Victoria, Elizabeth, Cathrine and a Vintage but they can make unique bespoke habits that are not on our site for individual customers) They have amazing options: a waterproof option and their own StormTeq Lining- an additional charge but so worth it- the lining keeps the rider dry whilst out in wet weather, but it is also a breathable material so will not hold sweat in. I know people stereotype custom clothing with very expensive prices attached to them. When you are looking for good quality basics that were made for your body type, their work and quality are priceless. If you look at Alexander James’ prices, they are in the same range as a good quality riding coat off the rack- So ITS WORTH IT! Alexander James will be releasing an everyday wearable and machine washable habit! Everyday Elegance when it is released will be a every day wear habit, that will be made out of one type of material (polyester-wool), It will be machine washable, and would be great for people to practice in, and for people who are just starting to learn side saddle as it would be a cheaper option for entry level riders. You wouldn’t really wear this habit for showing or hunting in even though the style of both habits are virtually the same, there is more craftsmanship in the Victoria. UPDATES on facebook will be posted! 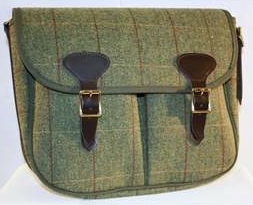 If you love Tweed- they have a wonderful selection! Anyone looking for something made for just them- take a look at this company. You can choose from a wide variety of clothes and really make it your own.